We have the Silk Dryer here to try out. We won't make a final decision as to whether to stock the Silk Dryer until we have had a chance to use and wash it for a while. Which I thought was fair enough. Ordered one from Polished Bliss last night, look forward to trying it soon. I'll report back on my findings. 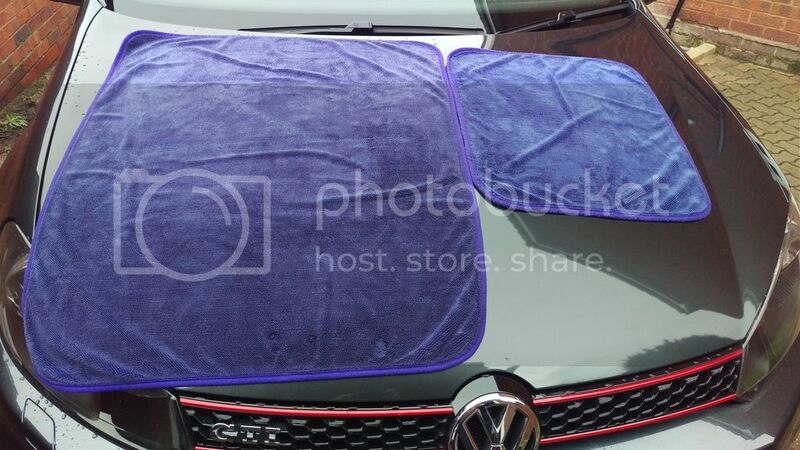 Having had both the small and large one I can say that they are the very best drying towel i've ever used as well as being the easiest due it's one pass ability's ans it also is barely damp after drying my car . Those arent the easiest to use,but its very absorbent,very good towels. Used the large one for the first time today. My wife's Voyager is a big car to get dry but did it without wringing out once. Cloth was heavy with water but kept on going. I’ve been using the Silk Dryer’s (both sizes) for a few months now and love them. I was wondering if there are any plans for a ‘medium size’ towel in the future? Last edited by Blackmass; 27-01-2016 at 10:02 AM. Not yet, but maybe that's a good point? Currently my favourite drying towel.